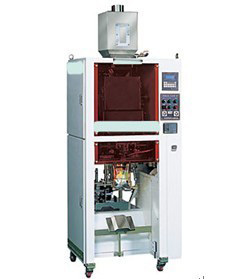 The retort bag fill seal machine is ideal for all kinds of retort pouches, including flat type, stand-up type, etc. 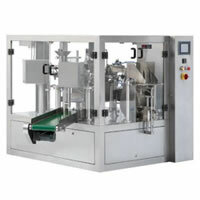 Solid: The retort bag fill seal machine can be used to deal with all kinds of retort food, like meat, rice, pet food, etc. Other materials should be retorted. 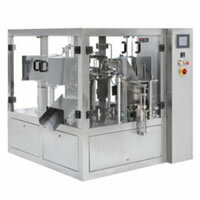 The shaped pouch fill seal machine is designed for preformed special style pouches (shaped pouches). 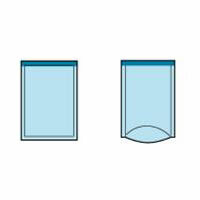 Shaped sealing: The shaped pouch fill seal machine serves to seal the shaped bags according to the special shape. 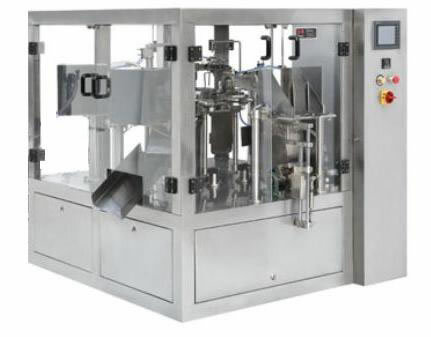 The big bag filling sealing machine is ideal for all kinds of large size pre-made pouches (more than 330mm), including flat type, stand-up type, etc. 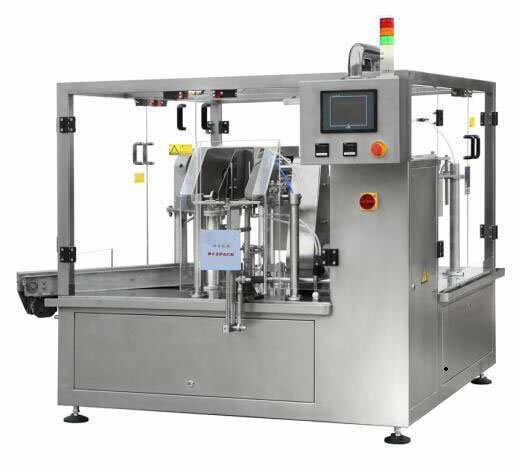 Easy to operate: The big bag filling sealing machine is designed with PLC controller, HMI system and fault indication on the touch screen, which provide easy operation. 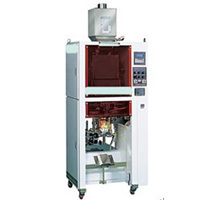 Easy to adjust: With all working process in one station, the big bag filling sealing machine is very easy to adjust. 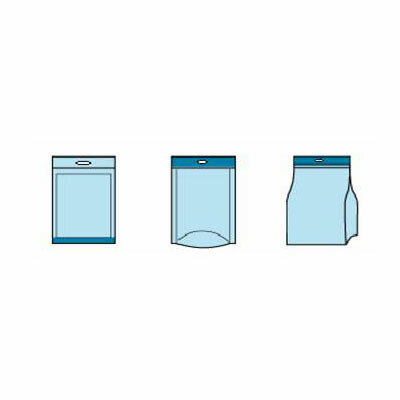 The bag with tray fill seal machine is designed for all kinds of pre-made pouches with inside tray. Solid: candies, chocolate, rock candy, cookies, cakes, peanuts, green beans, pistachios, nuts, cooked food, pickles, puffed food, daily necessities, etc. Granule: chicken, sugar, melon seeds, nuts, capsules, granular medicines, seeds, feed, pesticides, fertilizers, chemical raw materials. 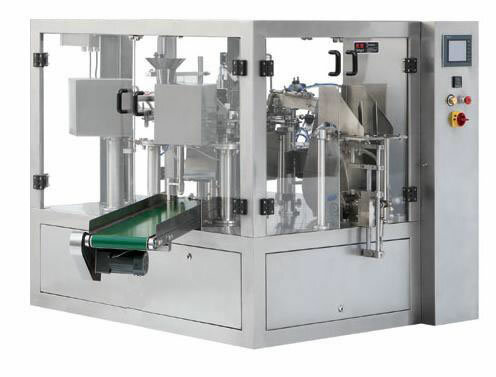 Vertical bag-feeding device: The device makes the bag magazine store many bags and it easy for the bag with tray fill seal machine to catch and deliver each bag. 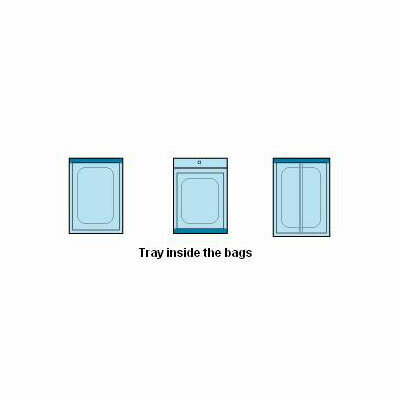 Tray guiding device: With the guide device, the bag with tray fill seal machine makes sure the products drop to the upper side of the tray. RezPack is ISO9001 approved, and makes CE certified vertical packaging machine, pillow type packaging machine, etc. by implementing strict quality management. 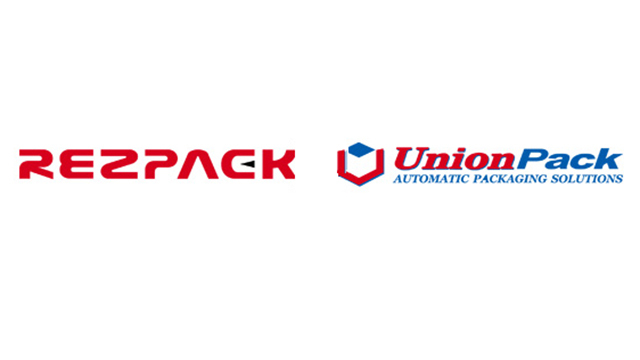 Due to high automation, reliable performance and easy operation, RezPack products are well received in many countries and regions, including America, Canada, Mexico, New Zealand, Australia, South America, Europe, the Middle East, and more. 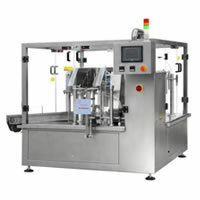 If you are in search of high quality competitively priced bag packing machinery, we at RezPack encourage you to contact us and try our products. 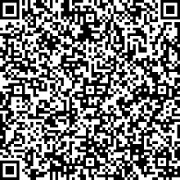 We are confident that you will be pleased with our products.